Beards are very much in vogue right now, especially in the music world. 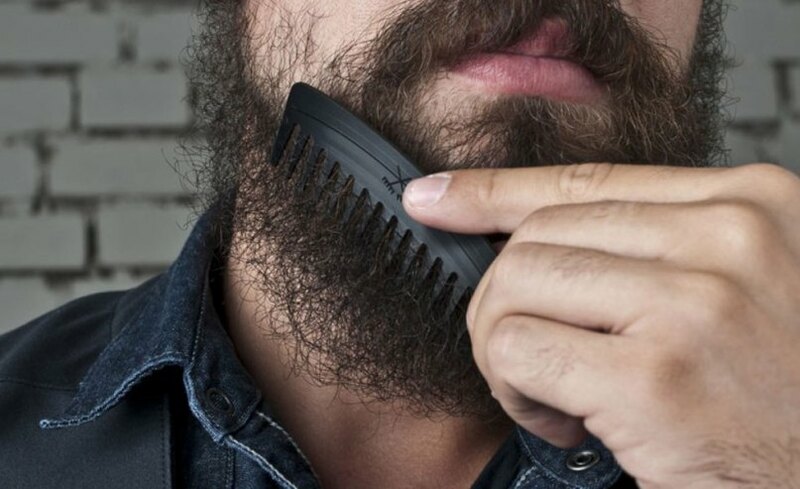 So it makes senses that you can now buy a special beard comb that’s made out of vinyl records. Both models feature the rings of the records that were used to make them. It would be even cooler if you could actually know which record specifically your comb was made out of. That will probably never happen, though. The Upstairs Shop sells the combs for about $11.50 (plus another $6.50 for shipping) on its online store. They will ship their products anywhere in the world. For ladies, if you really want it, I’m sure you could just use this as a hair comb, no? Hopefully, they will eventually release combs made out of special-colored vinyl records (white, swirled, etc. ).